Spoken Word: Just A Friend? A moving, fearless and real performance piece, I hope Just a friend is developed into a full theatre piece, I can already visualise this being played out in the Royal Court Theatre. “Introducing fast-rising London poets and Spoken Word artists Chozen and Sophia Thakur with their captivating new poetry piece titled “Just A Friend”. 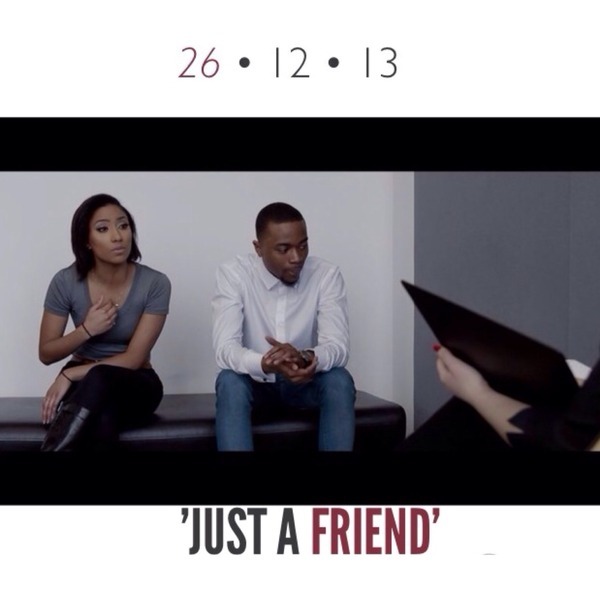 Already a favourite among fans and audiences across London’s poetry scene for most of 2013, “Just A Friend” is brought further to life courtesy of these Nick FlyGuy-directed black and white visuals, inspired by the infamous counselling scene from the 2005 film, Mr & Mrs Smith. Tackling one of the more annoying moments usually faced in relationships – the best friend that is a little too close for comfort, Chozen and Sophia Thakur wax lyrical about love, trust issues and insecurities among other things as they portray an arguing couple who are forced to air it all out in an emergency therapy session.